I will have to confront a bias right at the start. In any reading, this portion of the Torah raises several issues which are difficult for us to confront. “Confront”, as in “confrontation”, for there is not an element in this narrative that is not problematic at a very visceral level. I don’t feel able to confront the presentation of the way the “birthright” finally comes into the possession of Jacob, not the original purchase, nor the act of camouflage that ultimately leads the blessings to reach Jacob’s possession. It is hard to judge across several thousand years; in Chinese and Indian literature there are many ancient heroes who appear to us today as vile tricksters, certainly it would be hard to look to Krishna and the Gopis as an inspiration for male-female interactions. In “foreign” texts, it is easy to suspend anachronistic judgements and say that those texts represent an ancient ethos, but we are concerned here with a text that must mean something for us today, at this moment. Thus, we must aspire to some kind of reading that resolves this problematic. Especially since at the core, there is a suggestion of what we might call a genetic element to the difference between Yaakov and Esav, with all that that implies. If Esav is truly bad at the core, and Yaakov “born good”, then what can we learn from this entire segment? What does genetic (or racial) predetermination mean to us anyway, today (aside from the difficulty in assuming them as the founders of different people with different genetic proclivities, given how we understand biology today)? In order to try to present some alternative readings, I would like to focus in on one element of the narrative, specifically from the perspective of a central concern of contemporary literary theory. The question might be stated as what is the link between authorial intention and the reader’s response, particularly regarding analysis of meanings implicit in the words of the text. More directly: how can read Yitzchak’s blessing, hijacked by Yaakov, and originally intended for Esav, as prophetic of later Jewish history? The Midrash gives many readings of the Vayeten Lecha blessing pertaining to the Jewish future, but surely Yitzchak had a whole different idea of the blessing’s possibilities, geared as they were in original intent towards Esav! I will present three exegetical alternatives, which I find to be of interest, and they will be presented in order of progressive radicality. The first approach is that even though the blessings were to be given to Esav, at the core, they were ultimately blessings meant to aid Jacob. This approach has a certain hermeneutical ease, as there is never a full disconnection between the author’s intent and the recipient’s reading. An early approach would be that of the Lurianic school; they simply explain that when Yitzhak blessed Esav he had in mind Rabbi Akiva and all the converts that would emerge from Esav’s descendants. I would like to present two later readings, one from the Beit Halevi and the other from the Be’er Mayim Chayim, which also reveals some deep differences between the forner’s Misnaged perspective and the latter’s Hassidic place of enunciation. The Beit Halevi states the Yitzchak knew that Yaakov was the greater of the two brothers, and the future lay with his spirituality, thus he intended to bless Esav with mastery over the physical world, to fully prevent Yaakov from distraction by the temptations of the physical world. Thus he truly intended to divorced Yaakov from the bounty of the earth, ensuring that he has no recourse but total spiritual sovereignty. The Be’er Mayim Chayim maintains the spiritual:material dichotomy, but from an opposite perspective. He argues that Yitzchak was a clever reader of his own personal narrative. He sees twins born, of wildly disparate nature, each a success in his own chosen field, in a manner even fully congruent with each’s physical appearance. To his reading, this duality in personality was the ultimate revelation of God’s purpose. Ya’akov and Esav were to be the archetypes in human history of God’s plan as manifested in the physical world by Esav, and in the spiritual world, by Yaakov. 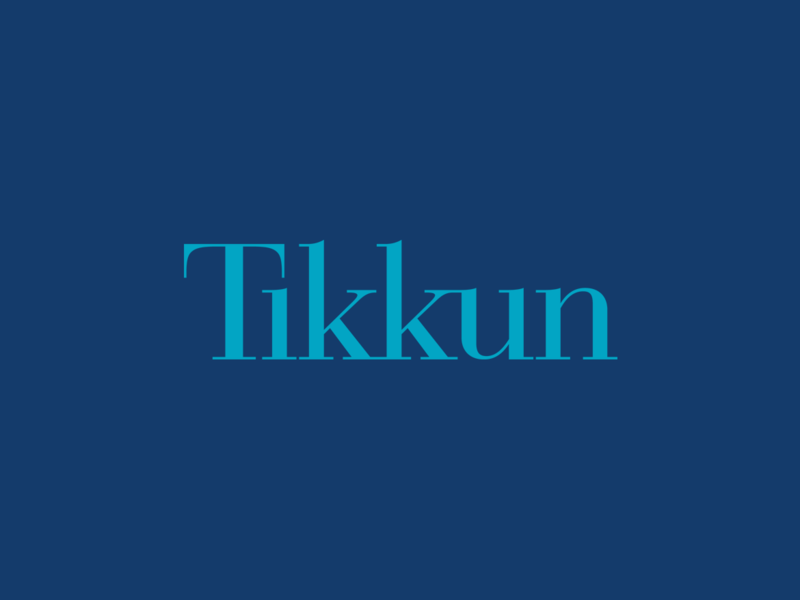 Thus, Yitzhak’s intention was for the brothers to work side by side in world transformation, an intention more successfully realized later in the model of Issachar and Zevulun, where the merchant tribe of Zevulun supports the scholarly tribe of Issachar. Why this did not transpire is not our issue right now, but we see the structural similarity in the two approaches- the intention of the blessing as it was, directed towards Esav, was ultimately for the good of Yaakov even as the text of the blessing appears to be intended for Esav. At any rate, it is interesting to note the pessimistic and dualizing nature of the Lithuanian hermeneutic versus the more hopeful and unifying tendency of Hassidic exegesis. A second approach is presented by the Yismach Moshe. His position entirely isolates the intention of the “blesser” from any direct effect the speech act may create–and asks the question point blank–How can blessings that are given by mistake ‘take’? To make sense of this he borrows the civil law phrase from Bava Kama 20: Zeh neheneh v’zeh lo chaser (this one gains while the owner doesn’t lose out) to explain how a blessing once uttered, essentially becomes a free floating textual possibility, an”organism,” as Heidegger described the life of a work of art . If Esav had received the blessing, and had lived the appropriate life, then the blessing would have retrospectively been the blueprint of his future. If he had received the blessing and remained evil, then no harm would have been done, since a blessing cannot fall on an evildoer anyway. As it was Yaakov that acquired the blessing, and his descendants did merit the blessings, the blessings can now be read in light of the life achievements of the Children of Israel. The relation of the blessing text to a vindicated life is akin to that of a liquid to its container, regardless of the container from which it was originally decanted. One problematic inherent in the whole narrative should be addressed here. What we see in these Hassidic readings, is that it is not a given that Esav is necessarily evil; he could well have turned out differently. The usual takes on the opening segment of the perasha, where Rivka finds herself in what we would call today a high risk pregnancy, consults an omen, and is told of two nations in her womb do not generally support this more open ended reading. Other than the Hizkuni, who does introduce an element of uncertainty regarding which son is the problem son into the equation, generally the reading is that in the womb, one is already evil and one is already good. 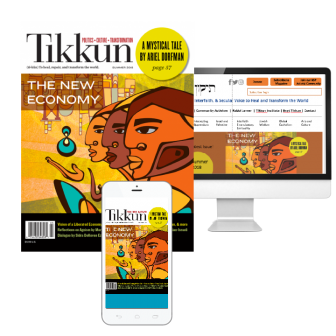 The Ohev Yisrael offers us another possibility, in which this problem is alleviated. To him, Rivka’s distress is a reflection of her own self doubt. She was certain that her child would be flawed, and not the child Yizhak deserved, because of her problematic background. In other words, had Yizhak married someone more “appropriate”, then this troubled pregnancy would not have happened; Yizhak would only produce righteous children; she and her problem “genes” are creating less worthy progeny for the “better race”, diluting the master genes . In all this self loathing and self doubt, though, she was confused by a niggling fact–if she was the cause of a bad seed, how could there still be a righteous child as well emerging from within her? (Distribution of genetic alleles and the concept of haplotypes were not yet discovered.) Thus, her question “Why me?” of 25:23 can be read as a double articulation–why did he choose to conceive through me, and how is there any “me” in the child if he has good qualities? The answer given, that there are two nations in her womb, is meant to dissociate the children’s later development from the genetics of their birth. From their origin they are OK, it is only mimay’ayich yiparedu, from after leaving the womb the offspring will make personal decisions that will characterize them; at this point they are both potential righteous. Their later lives will be a product of their own choice, not a product of genetics. With this in mind, we can see how readings in which Esav is potentially the recipient of the blessings is possible. With this in mind I would like to present a third approach. This reading is most “radical” of all, in that not only is the author’s intent irrelevant, but that it was entirely incorrect–Yizhak was wrong about his sons, and so Gd wished it to be! The Sefat Emes says that Yitzchak was entirely wrong about Esav, and fully intended to give this blessing, with all of its intimations about future history, to Esav, who he perceived as being the greater of his sons, the one most capable of engaging the world and transforming it to the message of Avraham. This mistaken assumption was necessary, for the sake of the blessing itself–the Sefat Emes points out that a blessing of such great potential could only be limited and demeaned by human intentionality. It had to be given entirely without any “interference” by the author, by God’s own plan, as it were (there is a parallel in the Midrash regarding the blessings of Moshe versus the blessings of God directly). To explain this a useful model would be that of Kristeva’s, borrowed from biology–that of the “genotype,” which are all the potential readings obtainable from a given text, and the “phenotype,” which is the way the text is generally understood and perceived. In our perasha, it was critical that the blessing come to Yaakov from Yizhak in an incorrectly apprehended genotype form, to prevent any phenotypical limitation on the blessing’s potential. This is in line with Luzzato’s reading of the Talmudic dictum that the one who responds Amen to a blessing is greater than he who utters the actual blessing–Luzzato (Ramhal) explains that the person who makes the blessing is limited by his understanding of the blessing he’s made, but the phrase Amen suggests an acceptance by the responder to all possible meanings the blessing might evoke to any member of the faith community past or present, above and beyond the capacity of any given individual to intend.